Outstaffing (or as it is also called remote web development) is a process of providing the employer with needed dedicated teams or dedicated developers they lack. It is getting popular nowadays due to the lack of professionals, such as dedicated software developers, Project Managers and QA engineers on the local market of employers. It is often mixed with outsourcing or is mistakenly regarded as the type of it. Is There a Difference Between Outsourcing and Outstaffing Dedicated Teams at All? Answering the question – yes, there is, and it’s huge. The only thing they have in common is in both cases you are working with people remotely. But with outsourcing you are paying for your project to be done, so you absolutely don’t care who is working on your projects, and with outstaffing and software maintenance you are hiring real people and working with them, remotely though. In order to get things clear and not to mix up the terms, let’s figure out the difference with the help of visualization. Outsourcing is a process of handing projects, activities or functions to a third party, which has all needed resources to conduct it – such as qualified staff and equipment. Outstaffing is all about the staff itself. When a company lacks web developers to develop a project, needs to extend the team and reduce staff expenses, they are looking for a remote developer with a certain technology, it basically “rents” them from the provider of such a services and very often such experts can be found in Ukraine.  So let’s deep into more detailed comparison of outsourcing vs outstaffing and see what pros and cons each model has. And if you doubt what way of hiring is better for you, we hope this will be useful for you to finally decide and make the first step. So if we talk about outstaffing vs outsourcing, the main difference is that outsourcing refers to the whole project support, while outstaffing model provides the hiring and maintenance of a remote developer or an outstaffing team. Outstaffing in its first and main meaning. The term itself is quite rare and still remains unfamiliar to many people. There are also other synonyms: remote web development, dedicated teams recruitment, IT staffing. If you look for a workforce which you don’t have at the company now, this can be the best way of getting it. Usually, an outstaffed remote developer stays under the roof of the company, which outstaffs him/her. A company that wants to hire dedicated developers usually prefers experts to work remotely but to dedicate the whole time to their project only. Relocation services as a type of outstaffing, involves not only search for an expert, but their relocation as well. This means that a company or a client that wants to hire dedicated developers asks for a recruiting company to find dedicated software developers of outstaffing development teams who can relocate to another city or country (the second variant requires a preparation of working visa). Relocation within one country or a city can be easily performed since it doesn’t require any time on preparation of additional documents. The process is quite simple. When employer has decided on what types of developers, designers, QAs are needed for the project, he applies with a request to the outstaffing software development partner which provides such services and after signing the contract with all discussed requirements the work can be started promptly. Relocation to the foreign country takes more time, but is surely worth it, because as a result a relocation software development partner helps a client hire dedicated developers and build outstaffing development teams which they lacked, and can implement all ideas into real projects. Remote working is when a company hires an employee who works away from an office, either from a hub or home, and communicates with his outstaffing team lead, project manager, or a company via phone, messengers, or emails. This type of employment allows workers to be more flexible, while employers save huge amounts of money hiring such workers. Even some of the most popular services and products have been outsourced for development, like Slack, Skype, Opera, BaseCamp, GitHub etc. We’ve made a research on salaries of developers and checked remote web developer jobs in UK, the USA, Germany, Switzerland, Israel, Belgium, the Netherlands, Ukraine. Below you can find the rates of a software developer working in-house and of those who work for an outsourcing company. This logics is also applicable to any remote programmer including remote web application developer that works for an outsourcing company. *These are annual average software developer salaries with additional 30% to the rate added by outsourcing/outstaffing firms. According to the chart, the highest rates of remote web developers are in Israel and the USA, followed by Germany and the Netherlands. The UK and Belgium remote devs who work on outsourcing, offshore, or nearshore development projects have average annual salaries at the same level, while Ukrainian remote web developers have the lowest annual salaries. Looking for reliable Outstaffing provider? Let’s create your own dedicated team! Remote work is the future. IT industry in the USA is quickly shifting to remote employment. The number of remote workers has grown by 115% within the last 10 years. Satisfaction. According to the Stack Overflow survey (2017), 53.3% of developers reported that remote job is their priority when looking for a new one. Remote full-time workers have the highest rate of job satisfaction. Less stress. Employees who work remotely have better balance in life, so their health and wellness is improving too, and they get less stress when working. 11 days of life. A front end web development remote team members gain back the equivalent of eleven days each year, because they don’t have to go to the office every day. Flexibility. 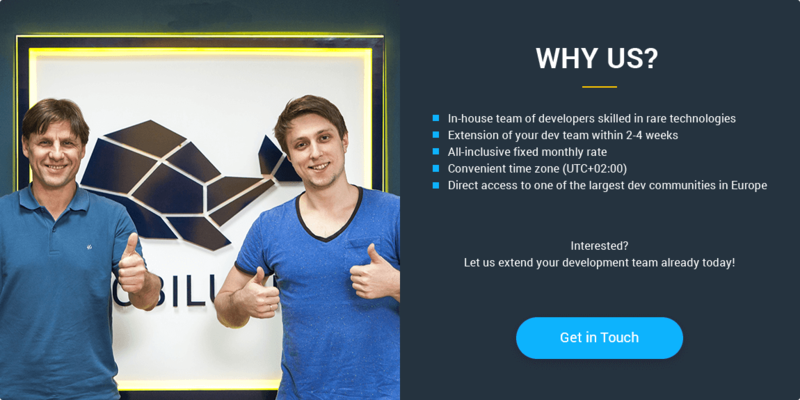 The working hours of developers is up to you. You can ask for full-time or part time remote web development from your outsourcing software development partner, depending on your specific needs. Costs. If you compare local vs remote web development, the latter is much cheaper due to no tax and office-related expenses. Higher productivity. Productivity is increasing when workers are not interacting with each other for a long time. So if you hire devs for remote freelance web development, they might be more productive than those working in an office. Less staff turnaround. Remote workers tend to stay at one place for longer time than those who work in an office. Talent pool. Hiring from outstaffing and outsourcing allows businesses to access much larger developer talent pool as they are not limited to geography and location. More engagement. Remote development agency and workers report more engagement into the job than when they were working in-house. Taking into account the whole list of benefits you get from a remote team of developers, we advise you to consider hiring a remote web development company. Remote hiring has already been a global tendency in 2015 and most likely it will still grow in 2018 as well. Why Software Outstaffing Team is a Great Solution? Outstaffing is very good cost-effective service provided for long-term projects. In most cases to hire dedicated teams of developers who will work remotely is 50% cheaper than to spend time looking for needed experts, interview and hire them in-house, increase operating costs and expenses for personnel instead of improving a company’s focus and productivity. When employers from other countries are considering to hire dedicated developers for their project, it is important to take into account the level of professionalism of the staff. Ukrainian developers are chosen for their talent, high level of education, flexible approach to projects, reasonable cost for the provided services and convenient location. They are often chosen as dedicated software developers, when an employer wants to reduce the cost of the overall development, and get a high-quality product at the same time. Outstaffing Is a Way to Hire the Best, Dedicated Software Developers for Your Marvelous Project!